The Gershwin Gang is a nationwide Jazz / Swing Band that performs in the style of the 1920s, 1930s & 1940s for weddings & corporate events throughout the UK. The Gershwin Gang specialises in the great jazz songs made famous by Nat King Cole, Frank Sinatra, Fred Astaire & Ella Fitzgerald; but you can also request a set of classic pop covers in the jazzy style to finish off your party. 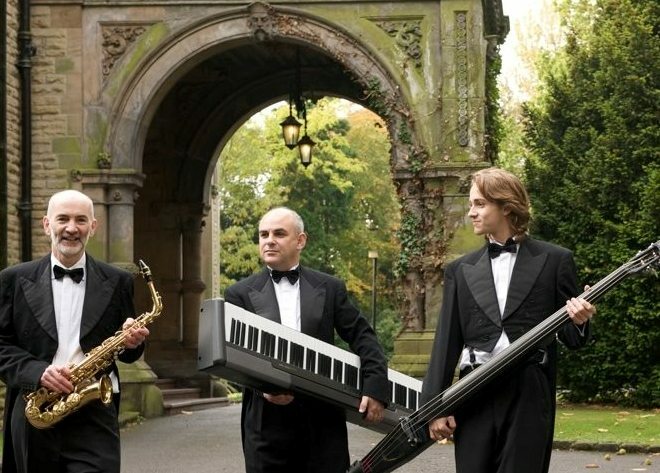 With over 25 years of experience, The Gershwin Gang jazz band is the ideal corporate entertainment for product launches, exhibitions, award dinners, shopping centres, as well as private parties such as weddings, civil partnerships, birthdays, anniversaries & christenings. With a wide variety of jazz styles, from solo to quintet; The Gershwin Gang can give any event that perfect vintage feel!